Rainbow Studios, the masters of off road racing games, returns to their heritage to bring the definitive next generation MX game to life. Challenge yourself in the ultimate off-road playground, a never before seen freeworld mode filled with treacherous terrain, mini games, and machine races. Go bar to bar against the top champions in the world through the season long Supercross and Outdoor National series in an extensive career mode. Prepare yourself for mud, dirt, high speeds, and serious attitude. Features 40 tracks, an innovative Freeworld mode, and a top 100 seeded career mode introducing 14 separate amateur, semi-pro, and professional race leagues. MX Unleashed brings a new brand of virtual motorbiking to Xbox. The game's original physics engine is designed to account for the rider, bike, and clutch separately to provide a realistic look and feel. Players can prove their skills of speed and style in a number of national and supercross competitions, and the game's career mode features 14 amateur, semi-pro, and professional leagues to conquer. Less competitive riders may enjoy the game's innovative "Freeworld" mode, which allows them to explore large, detailed areas full of mini-challenges and secrets, however they wish. 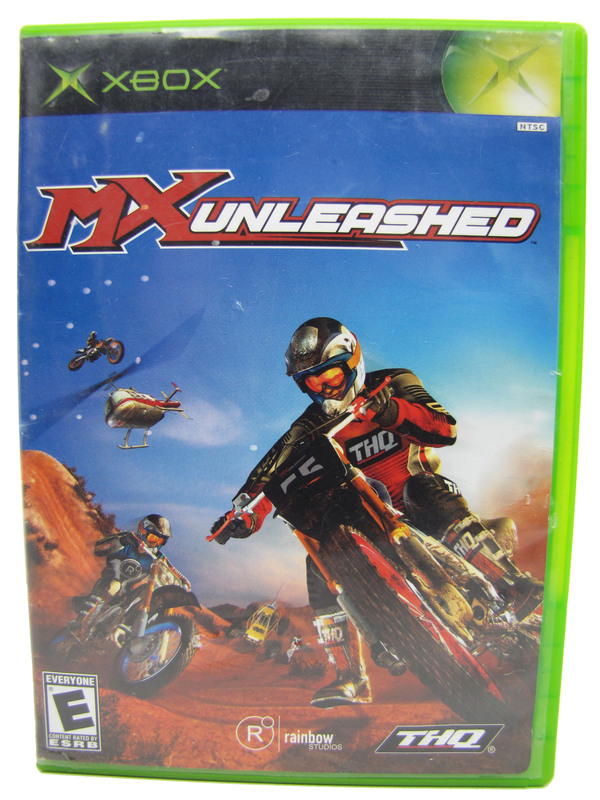 MX Unleashed was developed by Rainbow Studios, creators of such other successful extreme racing titles as Motocross Madness, ATV Offroad Fury, and Splashdown.